For the last alphabet Z, i chose to cook from Zimbabwe. While looking for what to cook, i came across this Breakfast bread which is inspired from the British Date & Nut loaf. This traditional bread is served for breakfast in Zimbabwe. With this bread we are coming to the end of Around the world in 30 days, A-Z cooking. It was interesting and at the same time adventurous. At least for me it was, since i started cooking very late and it was like every day cooking for me for this theme. That is the main reason, i chose to make breads from every country i visit, so atleast i covered the breakfast or snack for the day. 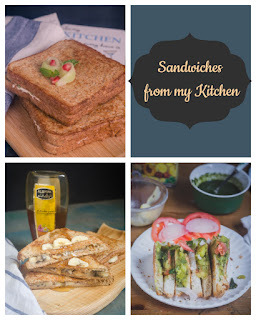 Nevertheless, it was fun cooking different varieties of bread and taste a different cuisine everyday. Coming to this quick bread, i made two small loaves, instead of one big. 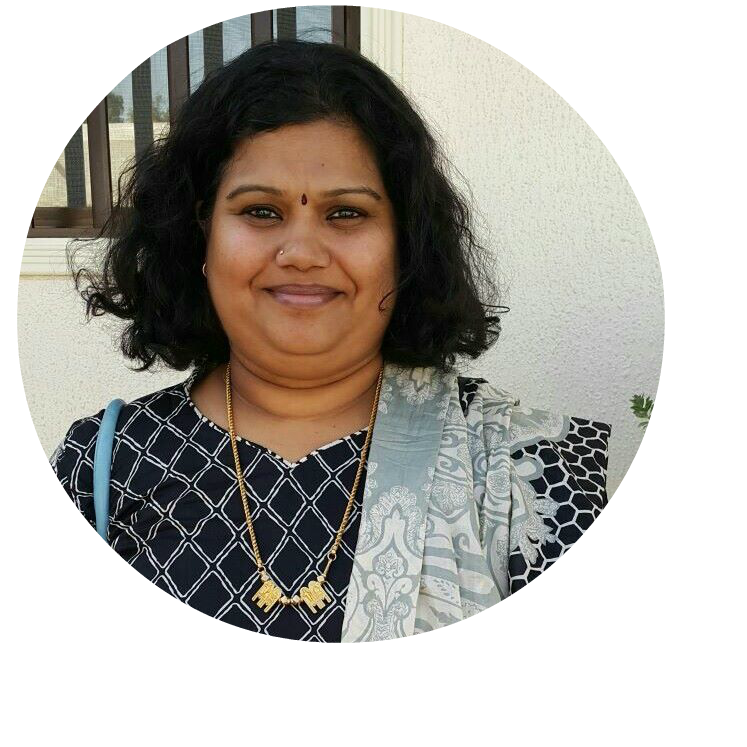 The day i made this, i had guests for Navrathri also. So, i served them one loaf and retained the other for the click. One loaf got vanished in just few minutes, it is soft and fluffy and doesn't feel heavy. The other loaf, which got saved for the photo shoot next day, got devoured by my lil monsters and their daddo, the big monster! I have got requests to make them again. Pit and chop the dates into manageable pieces and take it in a heat proof bowl, add baking soda to the dates and pour boiling water and let it cool. Sift the flour and salt together and keep aside. Mix Flaxseed meal to hot water and keep aside. Now cream together and sugar and butter. To this add flaxseed meal water mixture and whisk well to combine. Now add half the flour mix to this and mix well. Next add dates mixture and remaining flour and combine well. To this batter, add vanilla extract and chopped nuts and fold well to combine. 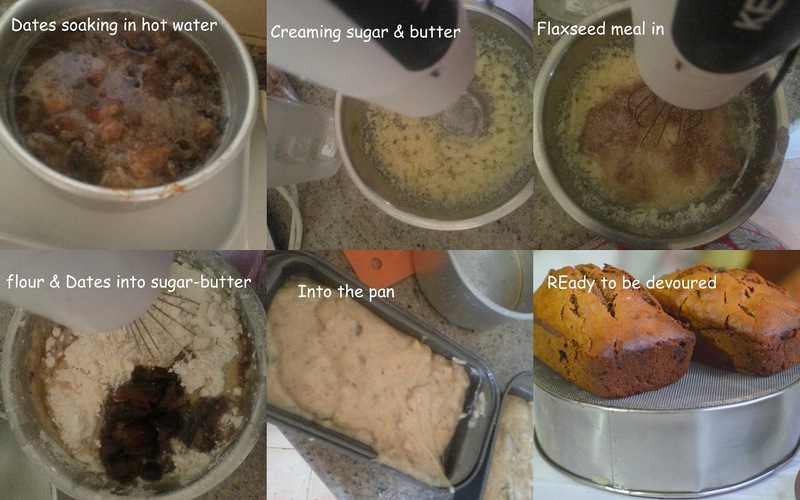 Grease a baking pan with butter or line it with parchment. I used 2 small loaf pans to bake the bread. Preheat the oven to 180C and bake the bread for 50 minutes or until a tooth pick inserted in the center of the bread comes out clean. Let it cool completely on a wire-rack. Slice them and serve it along a hot of Coffee/Tea/Milk. For V, we are visiting Vietnam. We are almost finishing this marathon, looks like days flew by. Though in the beginning, i was in a doubt, whether i will be able to do full 30 days, but as the days went, i felt though it isn't easy, but doable. 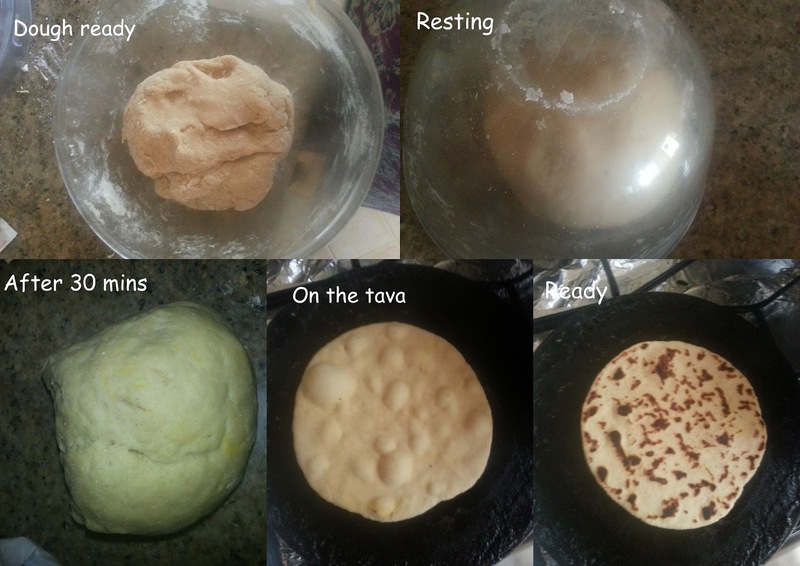 I m trying my level best to give breads that are doable @ home and resemble our Indian flat-breads to some extent in taste and method. Now today in vietnam, we are going to taste Banh Bao. Bánh mì is a Vietnamese term for all kinds of bread. Bánh bao (literally "enveloping cake") is a ball-shaped bun containing pork or chicken meat. It often has Chinese sausage and a portion of a hard-boiled egg. A vegetarian version of bánh bao also exists. I give you a vegetarian version of Banh Bao. 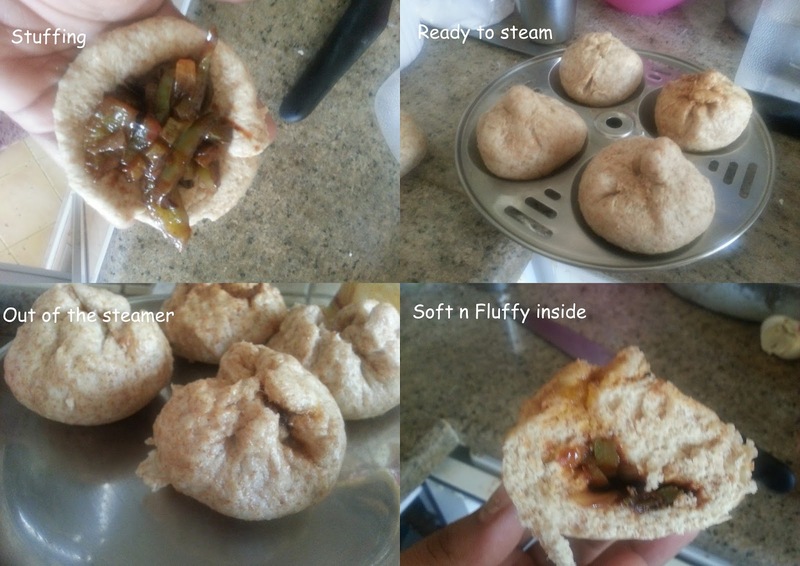 Steamed buns, stuffed with capsicum curry cooked with soy sauce. The buns were a total hit @ home. Both my kiddos loved it and the lil one skipped his regular lunch to have these buns. They make a good evening snack too. So, you don't need an oven to enjoy home made buns, all you need is a will to try new things out!!! Heat a pan with 1 tbsp of oil. Add chopped onions, green chilies and garlic and saute till onions turn translucent. Now add chopped capsicums to this and saute for 2 minutes. Keeping the flame high, add soy sauce and tomato sauceto this. Mix well. let this cook covered for 8 minutes or until capsicums are 3/4th cooked and it is almost dry. Take it off the flame and keep aside until use. Take both the flours together in a bowl, whisk well to combine. Take a tbsp of flour in a small bowl and mix it with baking powder and keep aside. Now add yeast, salt, sugar to the flour-mix and whisk well to combine. Now slowly add milk to the flour-mix and start kneading a dough. 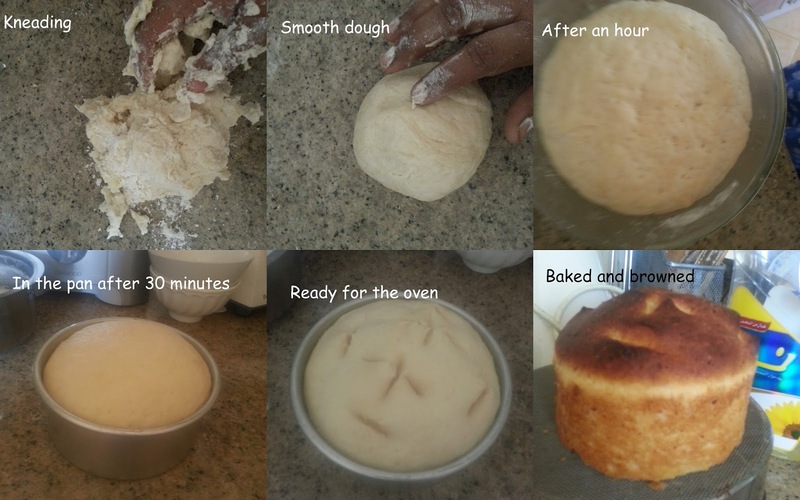 When it starts form a douh ball, add the baking powder and flour mix to this and knead to get a smooth dough. 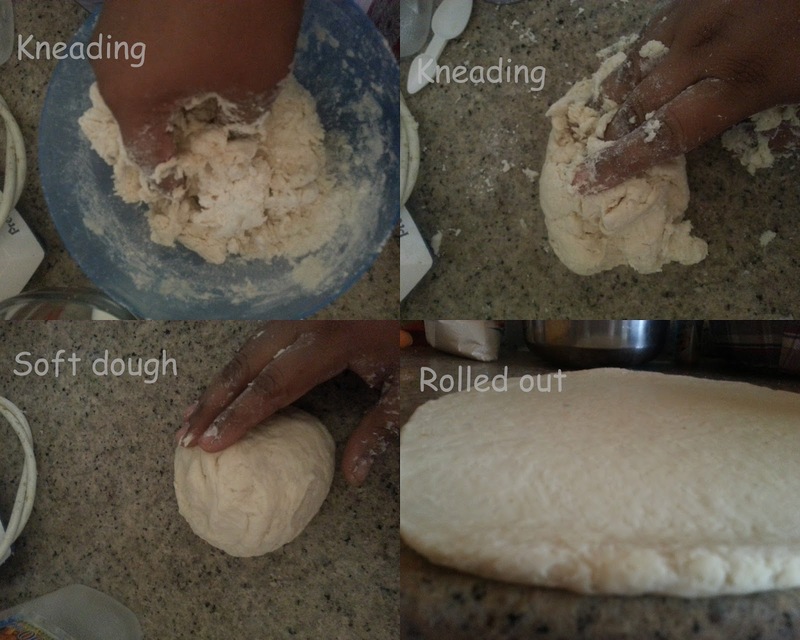 Take the dough to a flat kneading surface, i used my kitchen counter for this. Knead the dough for 5-8 minutes to get a soft and smooth dough. Let the dough rest in a well-oiled bowl for an hour or until doubled. Once the dough doubles, take it back to the kneading surface. 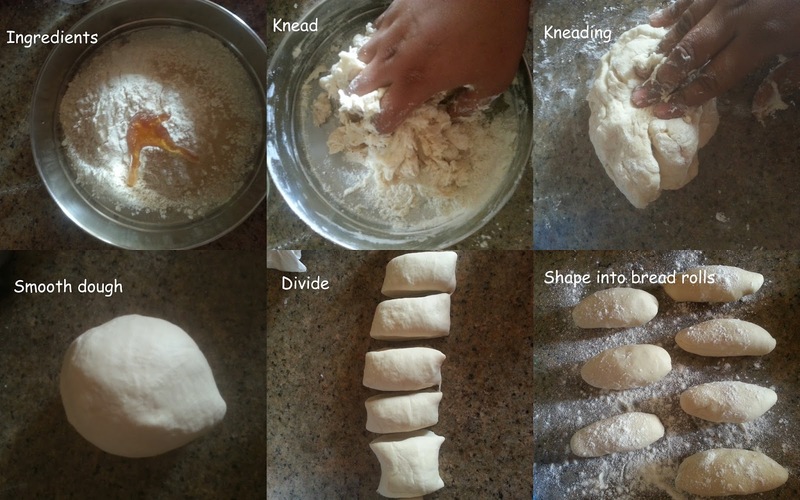 Punch down the dough and divide it into 5 pieces. Work on one piece at a time, keep the rest covered. Dust the working surface with flour, flatten a ball with a rolling pin and roll it to a circle of 5-6 inches. Keep a 1-2 tbsp of filling in the center and bring the edges together to make a potli/bag/modak. 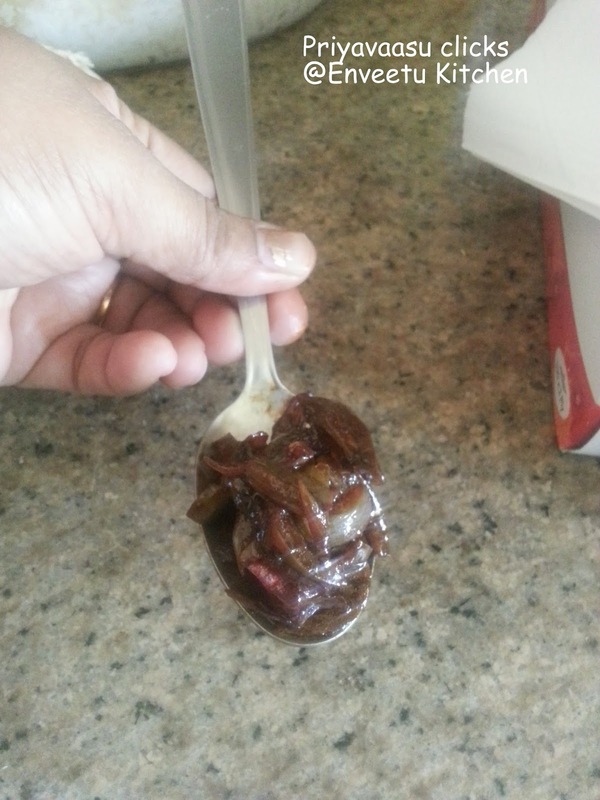 Pinch the edges together and twist it a bit to seal. 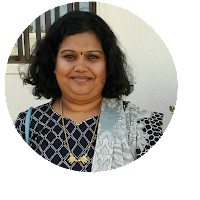 Keep a steamer ready, by boiling a 1/4 Cup of water in it.i used by idly steamer for this. Grease the idly plate, place the stuffed buns as you make in the greased plate. Place the idly plate into the steamer and steam cook the buns for 20 minutes.Take care not to spill water on the buns while keeping or removing the buns from the steamer. Let the buns cool for 30 minutes. Serve warm with tomato sauce on the side. The buns can be made using full All purpose flour or with 50:50 ratio of APF and Whole Wheat. Leftover buns can be stored in the refrigerator and can be stored up to a week. We are visiting Somalia for S today. I bring you another fried bread from this country. A popular street-food in most of African countries, Puff Puff is a combination of flour,yeast and salt, which is deep fried and rolled in sugar to taste heaven. But it can also be served with some spicy dip to make a delicious breakfast. We loved it totally. That too my Lil one, enjoyed it calling Vada, vada!! When i was clicking it, he came for dipping his vada in powdered sugar and gobbled them with a giggle!! :) Try them, they are very light, airy and i would definitely recommend that sugar dust as kids enjoy them better that way. Now slowly add water and mix with a spoon to make a thick batter. You won't get a smooth dough, it will be a gooey thick batter. Let the batter sit covered for 90 minutes or until doubled. Once doubled, heat oil in a deep pan, when it is hot enough.Make ping-pong sized balls of the dough into hot oil and deep fry them in batches. I dipped my hands in water, and pinched ping-pong sized balls from the gooey batter. 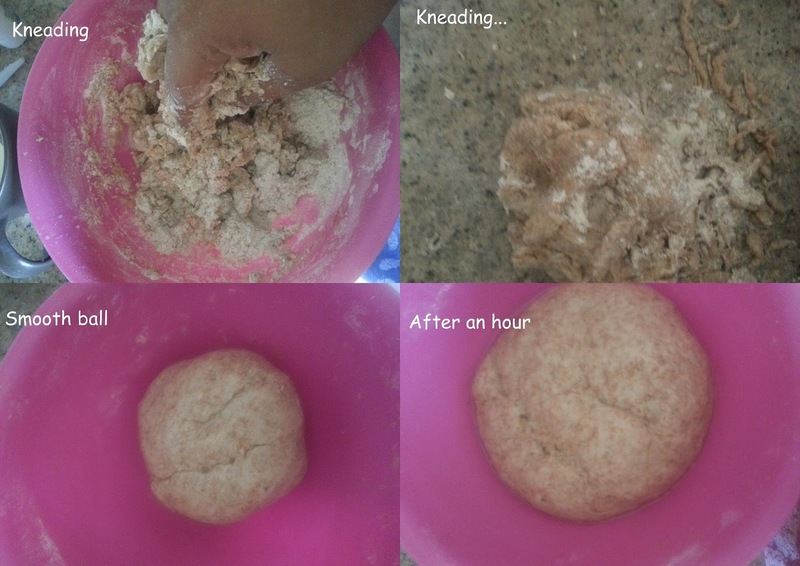 It was like our Urad dal Vada batter. Once the ball is in the oil, it will puff up amazingly, turn and cook them golden brown on all sides. Drain them using a slotted spoon onto a kitchen towel. Serve Hot along with tea, tastes better when dusted with powdered sugar. These can also be served with some spicy chutney for breakfast.